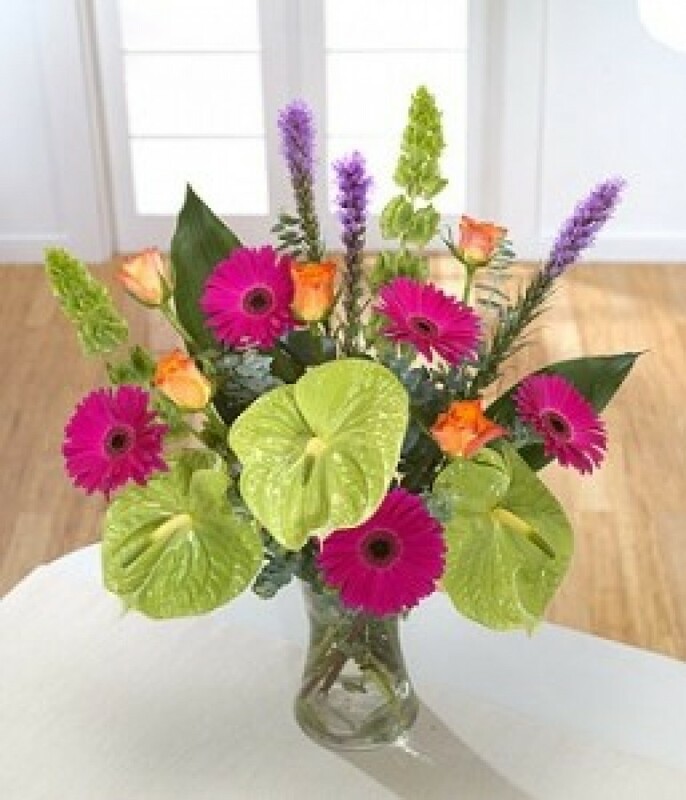 A contemporary mix of hot pink Gerbera and green Anthurium star in this tropical design. Purple Liatris and orange Roses bring warmth, while Aspidistra and Molucella form an elegant structure. Hand-Tie in water.